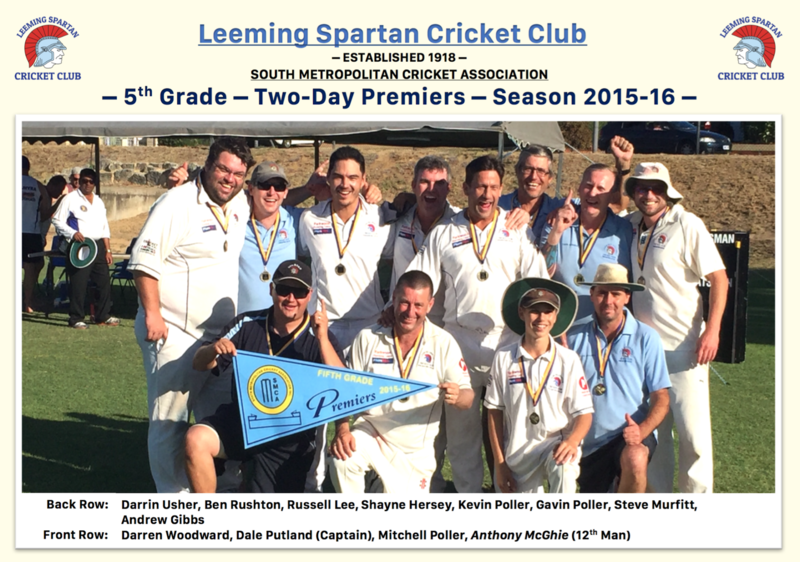 Featured on this page is the complete list of Premierships recorded by the Leeming Spartan Cricket Club since our inception in 1918. 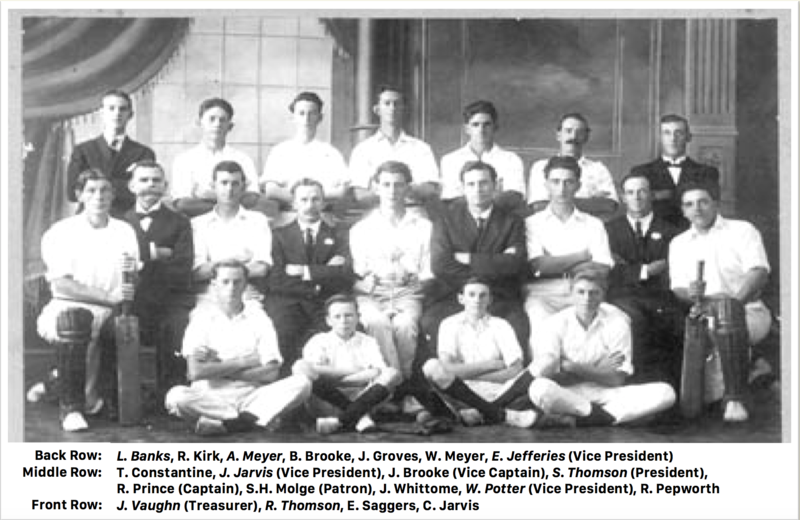 The list covers all premierships in all grades and associations, dating back to our very first in the 1922/23 season. You can view the inaugural Premiership photo (and a few others) below, or click here to view the full list of recorded Premiership Photos. Also listed below is the complete list of Premierships in the First Grade or top division. 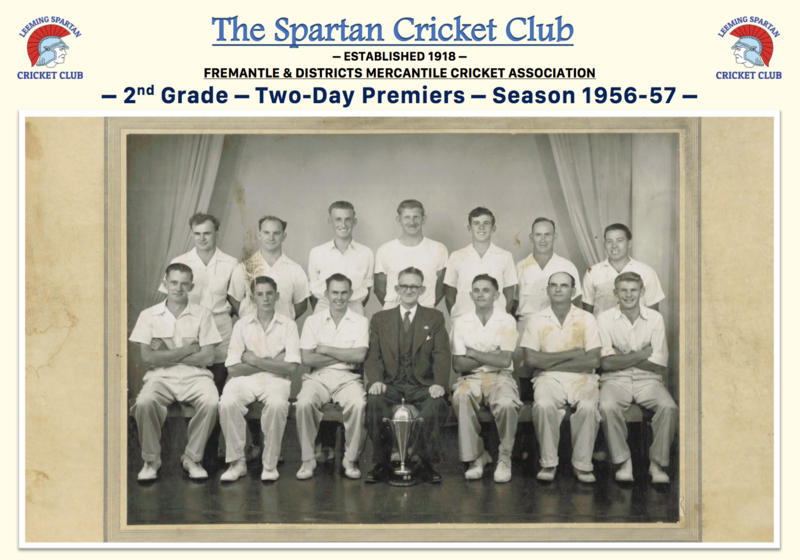 It is worth noting that the Club had only one side and there was only one division until the 1965/66 season, and therefore all Premierships until this point were in the First Grade. The 1992/93 Premiership is amongst the most significant as it was the greatest period of time between First Grade Premierships, caused largely due to a very strong competition. The previous was in 1973, meaning it would take twenty years before the Spartans claimed another First Grade flag. Our First Premiership was recorded in the 1922/23 season. Notice the black pads, as was a common sight at the time. Click the image to view it in its full size. The 1992/93 Premiership was historic for many reasons, most significantly because it was our first First Grade flag in two decades. Our most recent Premiership came in 2016, when Dale Putland led the 5th Grade to the two-day flag in a victory over East Fremantle. Created for the new Leeming Spartan Website in March 2017 by Daniel Coombs. 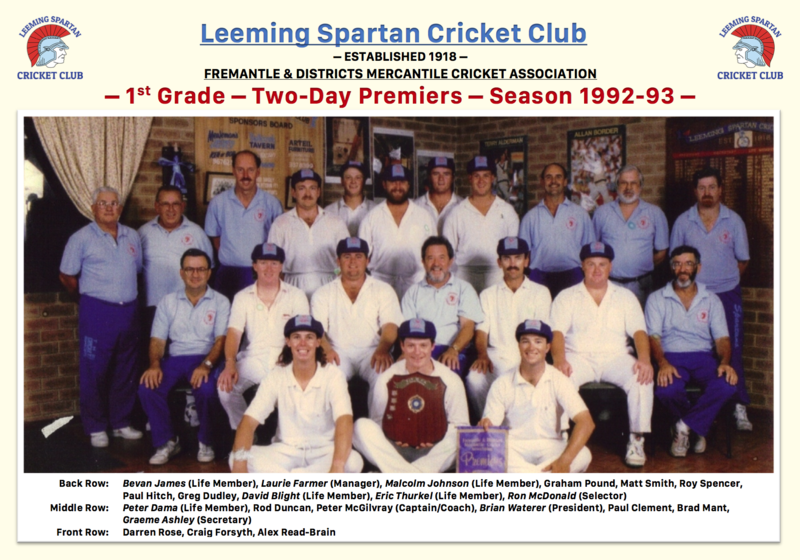 This document is for knowledge and viewing purposes only, and is therefore not to be copied or reused in any form without the express written consent of the Leeming Spartan Cricket Club (Inc.). 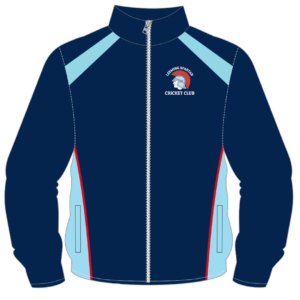 The Leeming Spartan Cricket Club (Inc.) logo is a copyright of the Leeming Spartan Cricket Club (Inc.) (ABN 24 114 629 534) and is not to be used for commercial purposes without express written permission from the Leeming Spartan Cricket Club (Inc.).